The University of Bergen (Universitetet i Bergen) is located in Bergen, Norway. 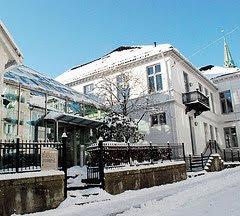 Although founded as late as 1946, academic activity had taken place at Bergen Museum as far back as 1825. 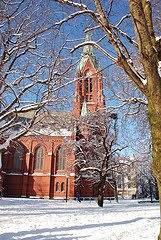 The university today serves more than 14,500 students. It is one of seven universities in Norway. Home students (European citizens) do not pay fees to the university. Students are however required to be members of the student welfare organisation. As of Fall 2009, this fee (semesteravgift) is NOK 470 (approx. US$ 80) per semester, and provides access to several services, including cultural activities, childcare, refunds for many medical expenses and subsidized accommodation. The University in Bergen currently is ranked as the 144th best university in the world, out of 9000 universities. 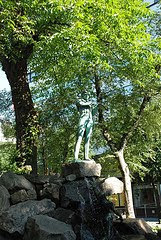 In 2006, the University of Bergen appeared unranked on the THES - QS World University Rankings among the 201-520th best universities in Europe. In 2007, the university was ranked as the 225th best in Europe, in front of the Norwegian University of Science and Technology and the University of Tromsø, which ranked as the 301st and 292nd best respectively, but behind the University of Oslo, ranked as the 188th best university.On the 2009 THE–QS World University Rankings list, the University of Bergen was ranked inside the top 200 for the first time. The faculty revised its structure and names in August 2007. The Faculty of Law was established as a separate faculty in 1980, with legal studies and research having been conducted at the university since 1969. The faculty is one of three Norwegian institutions which offer legal studies, the other two being the law faculties at the University of Oslo and the University of Tromsø. The faculty offers a five-year programme leading to a Master's degree in law and a three-year PhD programme, and currently has approximately 1900 students. 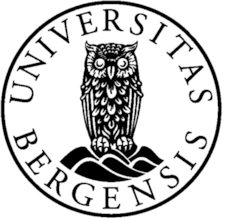 The University of Bergen is the only institution in the Nordic countries where the study of psychology has been assigned to its own faculty. Established in 1980, it educates psychologists and is responsible for the University's pedagogic education.